Kleinblatt bakery offers a wide variety of types of bread. Come to us for everything from traditional breads to Eastern European specialities. All our products are kosher and comply with the Jewish dietary laws, the Kashrut. Come and discover them at Kleinblatt bakery! We can cover any opportunity and taste. Spring and summer are the seasons we have our famous blueberry buns. Its a perfect combination of the soft suitness of the fresh blueberries. 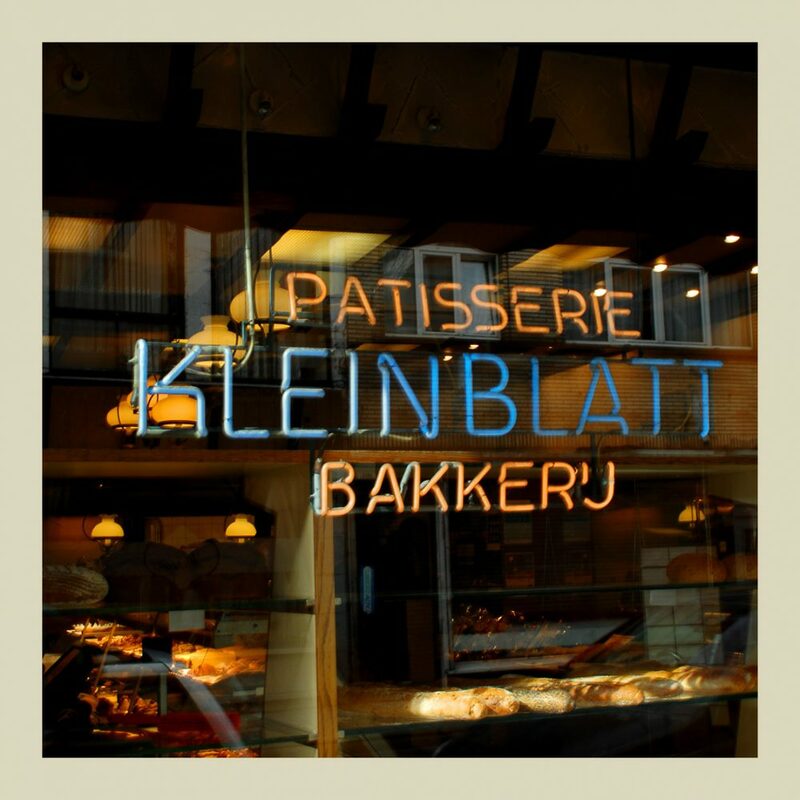 The history of Kleinblatt bakery goes back to 1903. That was the year in which Jacob Kleinblatt and his wife Rifka Rosenfeld opened a bakery in Cracow, Poland. The Kleinblatts, the great-grandparents of today’s owners, had 6 children: 3 sons and 3 daughters. The three sons, Hirsch, Moishe and Abraham, migrated to Antwerp in the early 1920s. Hirsch Kleinblatt and his wife Regina opened a bakery at Wipstraat 11. Moishe and Abraham, on the other hand, initially opted to work in the diamond industry, but joined their brothers in the bakery after the 1929 stock market crash. Fortunately, the bakery business was doing well. So much so, in fact, that in 1931 the bakery moved to Provinciestraat 206 in Antwerp, where you will still find it today.